The Parish Church of Fenchurch St Paul which features in The Nine Tailors by Dorothy. 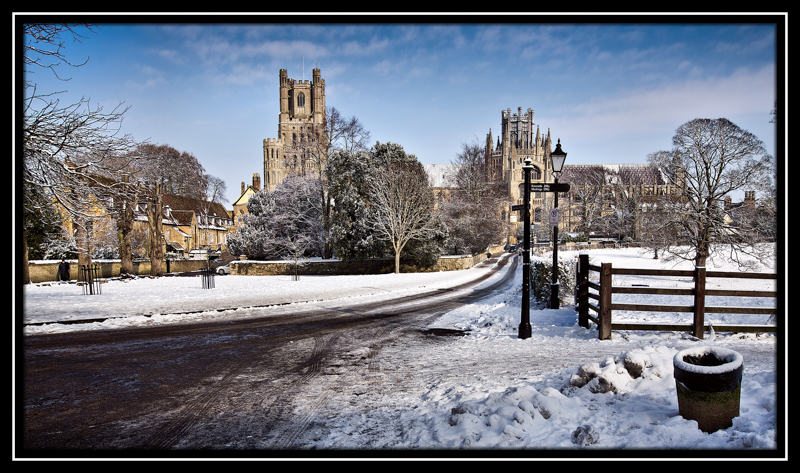 L. Sayer’s is like Ely Cathedral it dominates the fenland landscape where the novel is set. In seeking what church was the inspiration behind St Paul’s in Fenchurch St Paul a cautionary approach is needed. If you take to literally approach you could argue, as Lord Peter Wimsey and Bunter came to grief on a snowy New Year’s eve while crossing the Thirty Foot Drain at Frogs Bridge, therefore in reality if you turn left at Bedlham Bridge and traverse along the Sixteen Foot Bank you will discover that once upon a time there was an Inn called the Wheatsheaf on your right hand side, now a private dwelling. If you continue a little further on you will find a turning to the village of Christchurch where Dorothy’s father was rector after leaving Bluntisham until his death in 1928. 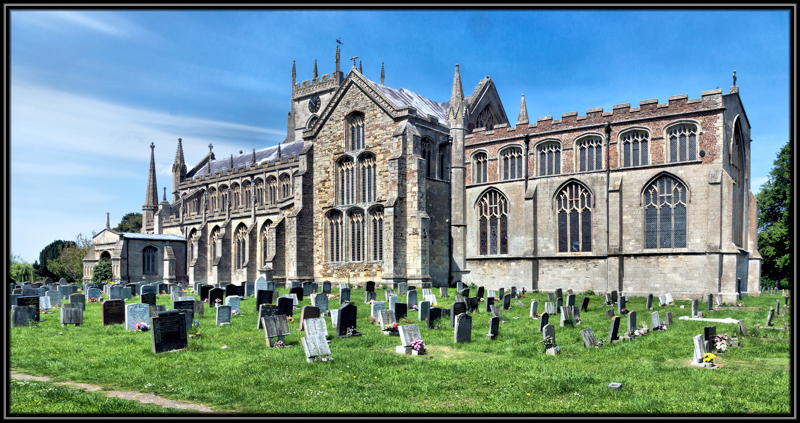 So it is safe to deduce that Christ Church in the village of Christchurch is a good choice but……. Although as you can see it is a fine place of worship and has its own distinct charm it does not fit the description or the drawings by the Architect W. J. Redhead in the book, so we will have to look in another direction. Hear lies the problem there are a number of good candidates, Walpole St Peters for example which was used in the 1974 TV adaptation, but still it does not quite meet all the criteria. Rather than carrying on and on, perhaps if below I display a collage of pictures which could be listed as possibilities you can select your own preference. St Peter’s Upwell, Norfolk. I believe would be the most popular choice, with its balconies, angle hammer beam roof and impressive exterior. St Peters Church, Walpole St Peters, Norfolk. St Clement’s Church, Terrington St Clement, Norfolk. 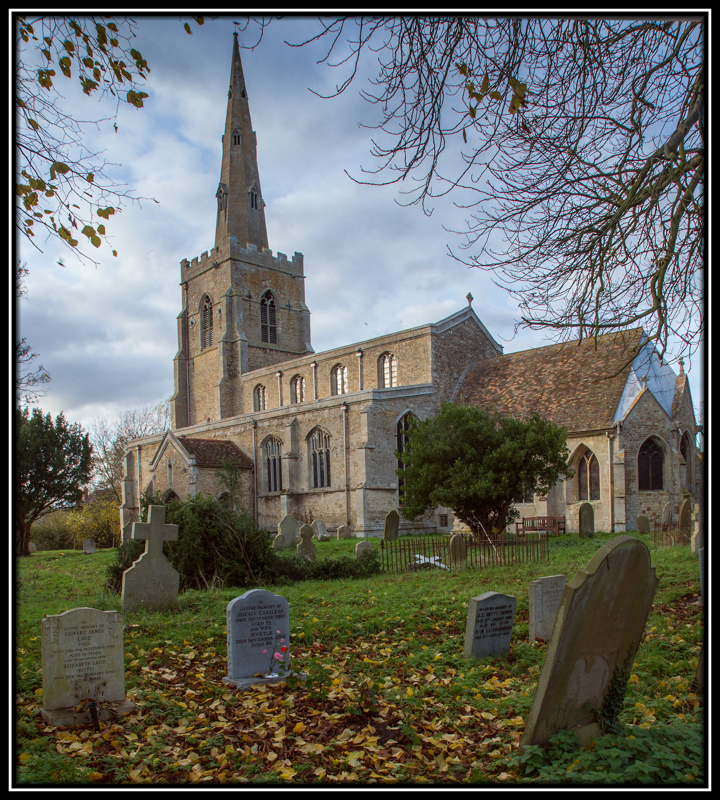 St Wendreda’s Church, March, Cambridgeshire. St Marys Church, Bluntisham, Cambridgeshire where the Sayer’s family moved to from Oxford and Dorothy spent her early years. 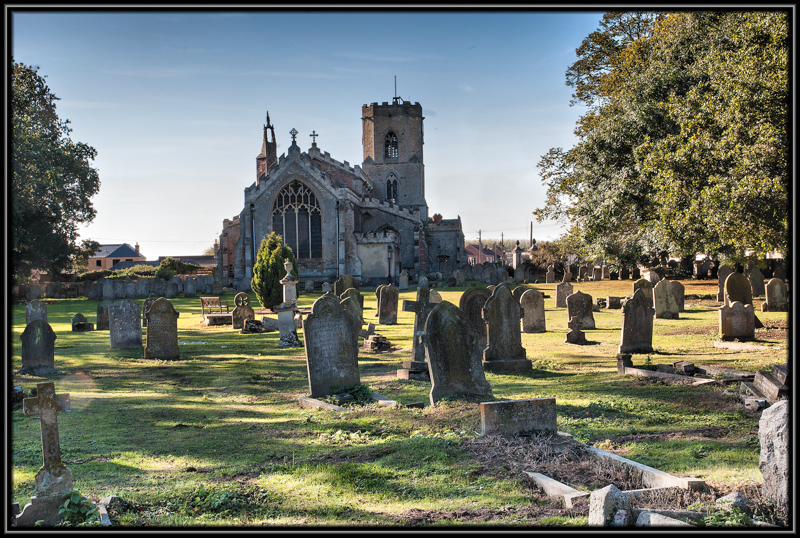 It is said that the names on some of the grave stones in the churchyard were used in The Nine Tailors. The Reverend Sayer’s was responsible in starting the restoration of The Church Bells. 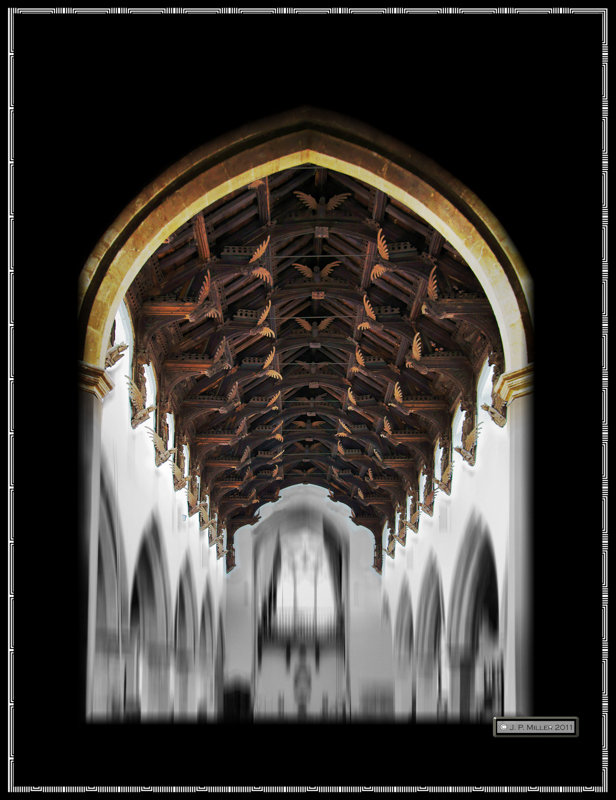 It is more than likely that the Parish Church of Fenchurch St Paul is a composite of many or is it a church in the mind’s eye and imagination of the creator. This entry was posted in Dorothy L Sayers and tagged Bedlham Bridge, Bluntisham, Christchurch, Dorothy L Sayers, Fenchurch St Paul, Frogs Bridge, Lord Peter Wimsey, March, Saint Wendreda's Church, Sixteen Foot Bank, St Clements, Terrington St Clements, The Nine Tailors, Walpole St Peters on September 24, 2016 by James P Miller. This was the home of Dorothy L Sayers writer and creator of the aristocratic detective Lord Peter Wimsey. 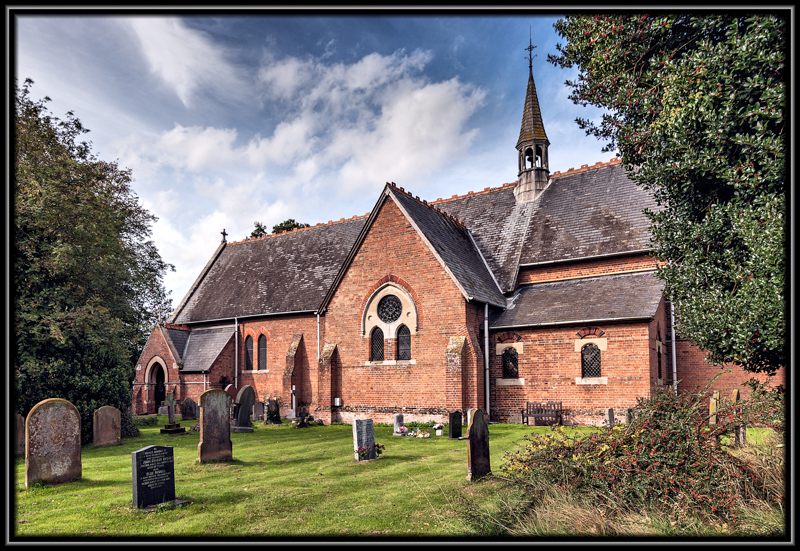 Her father was rector of St Marys Church Bluntisham between 1897 and 1917 before moving to the Parish Church in Christchurch. He was responsible for the partial restoration and expansion to a ring of eight bells in 1910 which was only completed in 2004 when the bells were rehung in a new iron frame. This made a full circle ringing possible for the first time for 160 years. Perhaps an inspiration for his daughter’s novel The Nine Tailors. It is said that the names of some of her characters in The Nine Taylors were inspired by the stone masons inscriptions in Bluntisham Churchyard a walk through the long grass failed to discover a H. Gotobed or an Ezra Wilderspin, but when all hope was almost lost we stumbled on a Thoday, a pity that it was not a William or James or even a Mary. Henry and Helen Sayers moved from Bluntisham to Christchurch in 1917 and was rector there until his death in 1928. 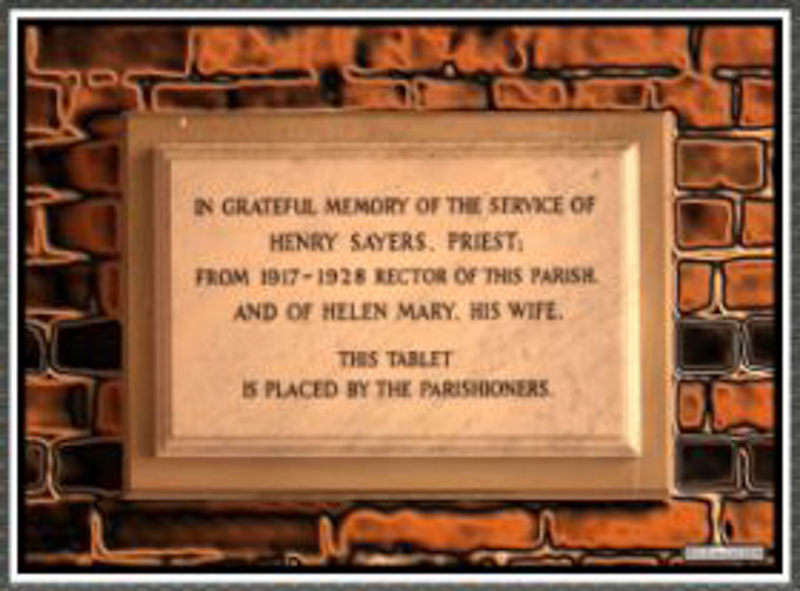 Henry Sayers photograph can still be seen in the vestry, the commemorative tablet to the couple was placed by parishioners at on the west end of the nave. They are buried in a grave on the north east side of the churchyard which was originally unmarked but their last resting place is now celebrated by a marble stone bearing their names. 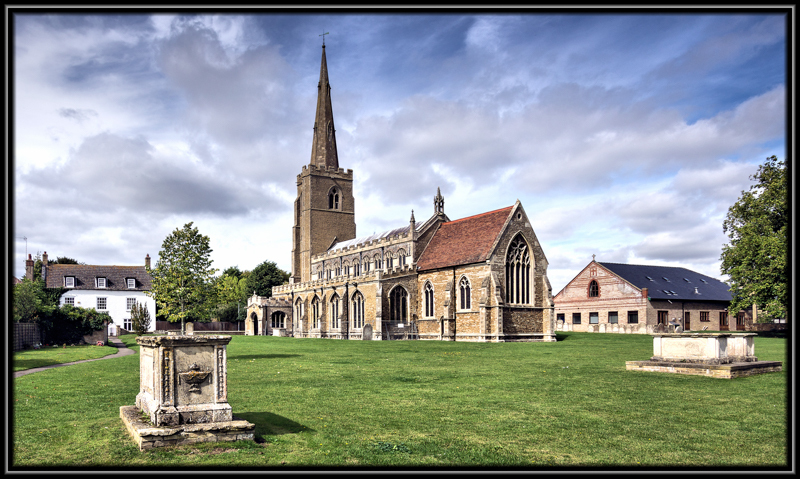 St Wendra Church is situated on the outskirts of the fenland market town of March. Now surrounded by housing mainly of the modern variety, but this does not detract from the experience of crossing the threshold and encountering the heavenly angles suspended in all their glory. They are justifiably world famous and have been admired by many, notably Sir John Betjeman and Dorothy L Sayers . “of course the angel roof is our great showpiece, I think myself it is lovelier than the ones in March and Needham Market”. We did try to make our own comparison by visiting the church in Needham Market, Suffolk but found it locked with no indication who held a key, perhaps we may try an other day.? 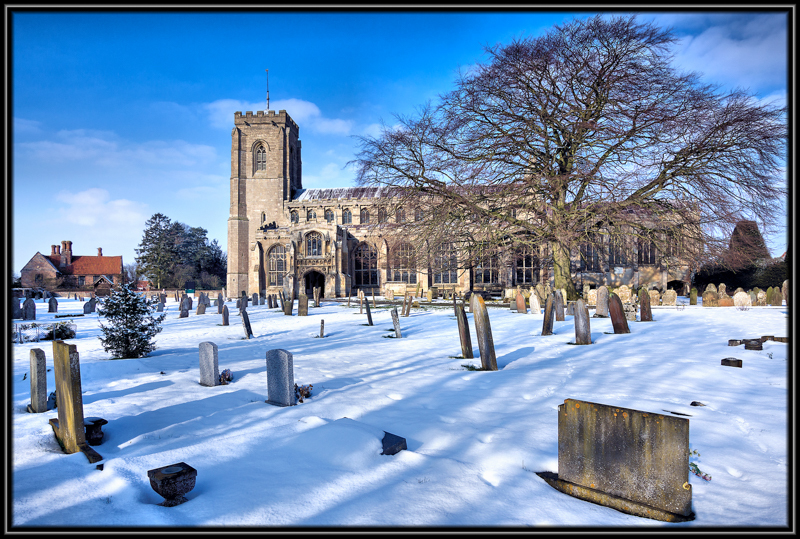 This entry was posted in Cambridgeshire, Dorothy L Sayers and tagged Bluntisham, Cambridgeshire, Christchurch, Detective Stories, Dorothy L Sayers, Graveyard, Lord Peter Wimsey, Rev Henry Sayers, St Marys Church, The Fens, The Great River Ouse, The Nine Tailors, Writer on January 13, 2013 by James P Miller.